We currently have trial access to New York Amsterdam News (1922–1993) and Chicago Defender (1910-1975). These historical newspaper collections provide researchers with first-hand accounts and information that was excluded or marginalized in mainstream sources. The New York Amsterdam News grew to become one of the leading black newspapers and one of New York’s most influential black-owned institutions. 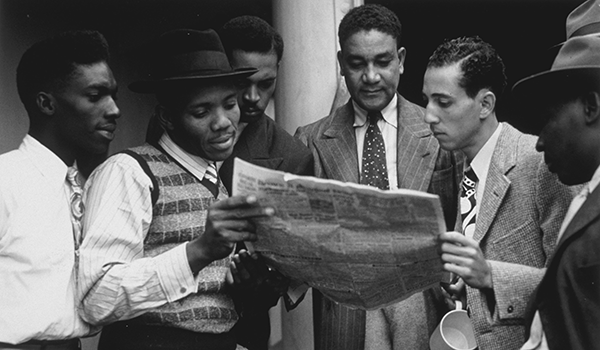 The New York Amsterdam News captured the vibrancy and cultural richness of the Harlem Renaissance in the 1920s, advocated for the desegregation of the U.S. military during World War II, and fought against discriminatory employment practices and other civil rights abuses in the 1960s. The Chicago Defender was a proponent of The Great Migration, the move of over 1.5 million African-Americans from the segregated South to the industrial North from 1915 to 1925. It reported on the Red Summer race riots of 1919, and editorialized for anti-lynching legislation and the integration of blacks into the U.S. military. This newspaper also supported the aviation career of Bessie Coleman, the first African-American female pilot, and promoted the writing of Langston Hughes and Gwendolyn Brooks, poet laureate of Illinois.